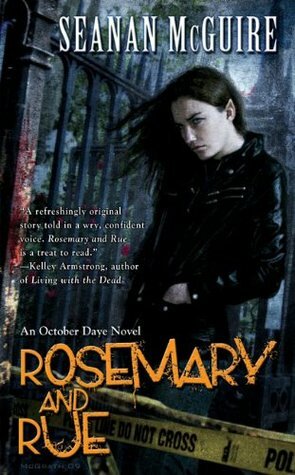 Review: Rosemary and Rue is the first book of the October Daye urban fantasy series. It is also the first time I’ve experienced any books by author, Seanan McGuire. For a first book, it holds a lot of promise. The story follows reluctant fae investigator October “Toby” Daye. She is a changling, half fae, who has tried to distance herself from her heritage and hide away from her problems in the human world. Unfortunately, she is compelled to investigate the murder of a close friend and member of the fae royalty or risk her own life. Toby’s character fits into the fragile strength mold. 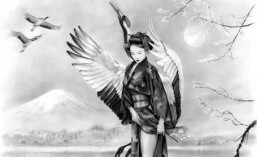 She is wounded and flawed, but her intelligence and resourcefulness carry her through. The author keeps her focused on the mystery at hand, although she does occasionally drift off into the land of woe is me. While she is not a stand-out character, she has enough potential for the reader to root for her. In addition to Toby, we are introduced to entire of ensemble of vibrant characters, who I suspect will turn up in future books. Many of these characters are cast with ambiguity, leaving a lot of room for the world to grow and blossom. She also casts many of the fae in a very anthropomorphic fashion. Take for example Tybalt, Lord of the Cats, a character for which I have a particular fondness. His self-interest manifests itself in a fashion totally fitting feline fashion, as do his speech patterns and mannerisms. I sense this cat-like character has at least as many hidden layers as a cat has lives. The world building uses the basic framework of fae mythology and then diverges into McGuire’s interpretation. She focuses a lot of attention on the challenges faced by the changlings who fit into neither the human nor the fae realm. Again, there is nothing particularly striking about this world, but it has potential. There is enough adventure in this book to make it fun. Plus, McGuire does a good job of weaving in elements of future intrigue. It is enough to throw the reader off the trail to solve the mystery at hand, yet not so much that it leaves one frustrated by lack of closure at the end. There is clearly more story to be told, as you would expect with the start of a series.